Both teams have scored in Atlanta’s last seven Major League Soccer games and the Eastern Conference highflyers could be involved in another classic encounter as they travel to face Colorado Rapids. 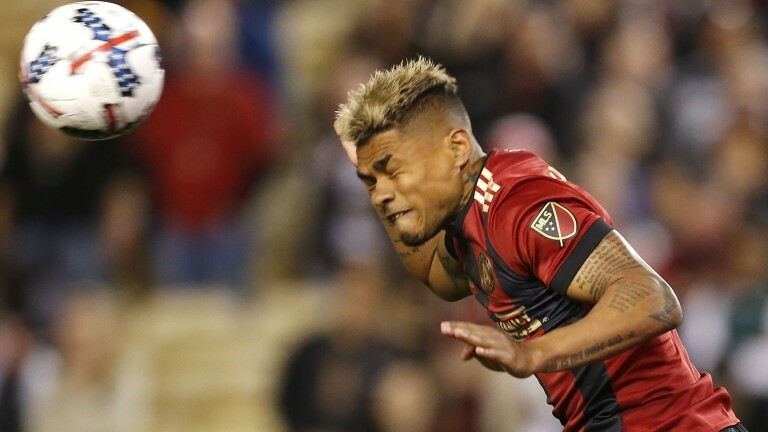 No MLS side have scored more than Atlanta’s 56-goal tally and spearheaded by the prolific Josef Martinez, who has netted 28 times in 27 games, they are expected to make their presence felt. But the Five Stripes were beaten 3-1 on their most recent trip to Wayne Rooney’s rejuvenated DC United, and just six clean sheets in 27 league matches suggests Colorado should get plenty of chances to find a breakthrough. Atlanta are renowned for their exciting, possession-based football with Miguel Almiron, Ezequiel Barco and Hector Villalba pulling the strings behind leading marksman Martinez. However, they can be hit hard on the counter and for all their attacking flair, they remain suspect defensively. Colorado have fired blanks in suffering three straight league defeats but they are much happier on home soil, where they have notched in 12 of their 14 matches. The Rapids posted a brace of 2-1 home league wins over San Jose Earthquakes and LA Galaxy in August and can certainly make life tough for the visitors. Atlanta will leapfrog New York Red Bulls at the Eastern Conference summit with a victory and they should get the job done, but they are a skinny price and expecting a lot of goals makes more appeal.